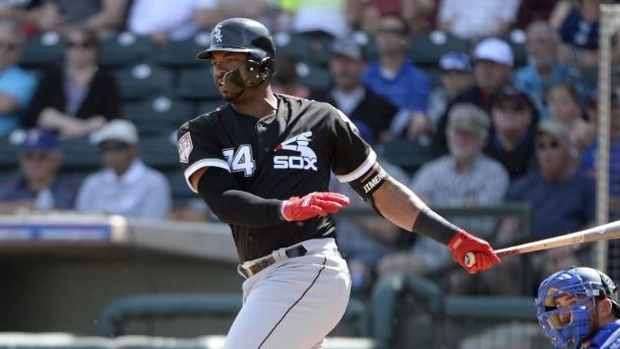 Eloy Jimenez has never played a game in the majors, but he's about to be locked in for the long haul. ESPN's Jeff Passan reports the Chicago White Sox are closing in on a six-year extension worth $43 million for their top prospect with two club options. With two club options, the deal could rise to as much as $77 million. The deal smashes the all-time record for players with no service time. Jimenez, 22, is Baseball America's No. 3 overall prospect. The Santo Domingo Centro, Dominican Republic native split last season with the team's Double-A and Triple-A affiliates in Birmingham and Charlotte respectively, batting a combined .337 with 22 home runs and 75 runs batted in and an OPS of .961 in 108 games. He was sent down to the club's minor-league camp last weekend and will start the season in Charlotte. “I accept it and I'm going to work hard,” Jimenez said of his demotion. “I tried to compete. They gave me the chance to be the best player I can be. I tried to do too much. I think that's why I don't have the good results." In 26 at-bats during Cactus League play, Jimenez hit .154 with a home run and a pair of doubles. Striking out nine times, Jimenez did not walk.